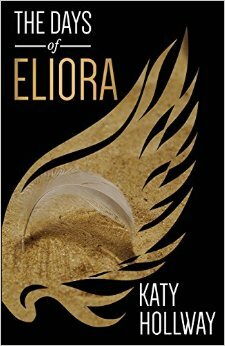 The Days of Eliora by Katy Hollway – It's Time to Read! The Days of Eliora “Si dominates her, eager for respect Caleb notices her, detecting someone unique The Remnant shuns her And I watch over, as turmoil encompasses the land Eliora lives between worlds. Disowned by one and mistrusted by the other; she has no identity. Finding solace in conflicting friendships will shape her future beyond recognition. Caleb brings relief to her testing days, but can he bring startling revelation about who she really belongs to. Will she still her confusion and listen to my message? Is her heart prepared for the battle?” Eliora does not fit. Neither the palace nor the settlement offers her a place to be who she is called to be. Join Eliora as she discovers her calling amid the slavery of her people and the tyrannical Pharaoh. Discover the unfolding story through both the human and supernatural realm. This is the second book by Katy Hollway, and the second in the Remnant Chronicles. I enjoyed this book as much as I enjoyed The Times of Kerim, but fear my comments may be similar. As was with The Times of Kerim, I found the synopsis gives away nothing about this book! I had no idea what or who to expect when I opened the novel. I don’t want to give away much of the story but I will explain that the Remnants are angels, who are protecting certain charges. Eliora is one of those charges, and she has a tough life. She is a Hebrew slave in Egypt, but expected to work at the palace amongst other Egyptians. She finds herself caught between the two different cultures, unsure who to follow and whether to believe in the Egyptian gods or the Hebrew God. Again, I don’t want to spoil the story or give away too much, but Hollway bases these novels on Biblical stories, but the main character is rarely the key Biblical person, the are intwined into the story as we follow those around them. I found the beginning of this novel a little slow, like with her previous novel, we launched straight into a world where we are not sure what is going on. The story does become clear after a couple of chapters and I liked how we are slowly introduced to the key players in the story. As for the storyline, I found myself in a strange place – I liked it, and I didn’t like it, all at the same time! There is one particular incident in the book that then shapes the rest of the story, but I didn’t like it. I wasn’t sure if it even needed to be there. I also was surprised by how fast time moved in the book as there didn’t seem to be any indication of weeks or months. Yet, I did enjoy the book and found myself reading large chunks in one go because I wanted to know what was going to happen. I was gripped, and I did enjoy this book. There is hardship, pain, friendship and love in this book. Family and faith are so important in life, and in this novel. I loved watching how each event unfolded. This book is descriptive and draws you in. I was captivated by the story and for the most part, really enjoyed sitting and reading this book. I keep asking myself the question, did I like Eliora? I’m quite undecided! There were moments in her vulnerability when I felt for her, really empathised with her, yet she was also a bit sulky and I didn’t like that. I did like Caleb – a hero in this book! He always saw the best in her, stood by her at all times and showed her God. He had such a great trust in God, it was amazing. I want to make one comment about how the book is laid out. We often jumped between Eliora’s story and the Remnant’s story. We know this because it is shown through a font change. The Remnants can see the demons surrounding and covering people, and sometimes would engage them in conversation, however I didn’t find it was always clear if the demon was speaking, or if the person he was controlling was speaking. This isn’t just a story about how God can save a nation. This is also a story about how God cares and loves each individual. God is so loving and caring – he does work all things out for the good of those who love him, and we saw this in the book. The Creator was always there, and he always has a plan for us. Bad things do happen – they happen in this book – yet God loves us, he protects us and he saves us. What was meant for evil, God uses for good – and that is the key message through the book and I love it. It was so good to be reminded of this truth in a subtle, powerful way. I’m rating this book 4 out of 5. I liked most of the story, and my comments above are minor things in the scheme of the story. I just loved being reminded of God’s grace, and how much he loves and cares for his children. This isn’t a hard read, but it is enjoyable and full of God’s truth.